hen twenty of the world's most powerful leaders meet at the G8 Summit, the fate of the world will rest on one man's shoulders. Twenty world leaders meet for the G8 Summit at the beautiful Cheyenne Resort in Colorado Springs. 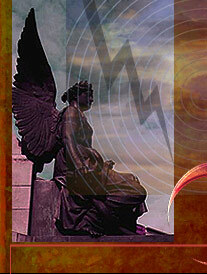 But an ugly plot lurks beneath the surface: a terrorist group, The Fallen Angels, plans to wreak havoc on the summit. With the Secret Service, the FBI, Homeland Security, the military, and security from twenty different governments on hand, shouldn't the resort be the safest place in the world? It seems impossible that a terrorist group could infiltrate the summit. And yet they do. Within minutes, twenty world leaders are taken hostage, and Richard Coffee, the group's leader, makes his first demand: release twenty detainees from Guantanamo Bay, or he'll execute one leader each hour until his demands are met. Only one man can disrupt this plot. Derek Stillwater is that man. Working undercover as a maintenance man at the resort, Stillwater will wage war on the world's deadliest, most sophisticated terrorist organization, picking off the terrorists one by oneuntil he comes face-to-face with an evil force from his past, Richard Coffee, The Fallen Angel himself. Read Chapters 1 to 6 (PDF format). 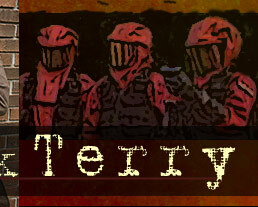 "Terry writes like Lee Child on steroids." "Tense from the first page, The Fallen maintains its intensity up to the very end, and Stillwater is both a sympathetic and believable hero. Readers of previous Stillwater novels will eagerly wait to see him in action again, and those new to the series will seek out his earlier adventures." 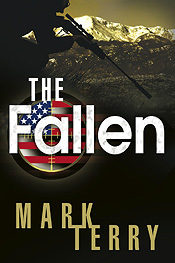 "Readers who love the high paced thrillers that provide an adrenaline rush of a read are in for a treat with the latest Mark Terry novel, The Fallen.... For thriller junkies, it's a book destined to please." "The Fallen is a singularly entertaining read.... Engagingly written, The Fallen is a real page-turner, everything a first-rate thriller should be." "Old-fashioned, seat of your pants entertainment value." "The Fallen is a most compelling thriller that you really need to get your hands on." 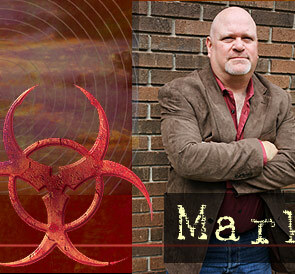 "When you open Mark Terry's latest thriller, the very first page will launch you on a journey that will have you reaching to turn each page more quickly than it can be read. Wow! Good book....The suspense is thrilling, the plot tightly written, the characters realistic and the pace calls for a breather every so often." "Tougher than Jason Bourne and smarter than Jack Ryan, Derek Stillwater is a hero for troubled times. In The Fallen, he needs all his toughness and all his smarts to battle terrorists who take over the G8 summit and threaten to kill a score of world leaders. Slam-bang action from start to finish. A winner!" Paul Levine, author of "Solomon vs. Lord"
"24's Jack Bauer better watch his step: Derek Stillwater is closing in fast on grabbing that big-action, ticking-clock thriller franchise market, and The Fallen is the latest and best of those Stillwater moves. Mark Terry knows how to keep you turning pages." James Grady, author of "Six Days Of The Condor" and "Mad Dogs"
"Blisteringly paced and unrelenting, Mark Terry's The Fallen reminded me of 'Day of the Jackal,' but with a modern polish. With a ripped-from-the-headlines urgency, here is a novel that will keep people talking long after the last page is turned." James Rollins, New York Times bestselling author of "The Doomsday Key"
"A super-fast and wildly entertaining read, The Fallen combines the currently-popular homegrown terrorism subject with a Die Hard-esque plot and vivid characters you won't soon forget. Topped with a brilliant beginning, Terry starts things off with an unforeseeable shock and doesn't let up from there... "The Fallen" is John McClain meets Jack Ryan... with a little Macgyver in the mix! The Fallen earns high notches! Thriller fans will love its consistently high level of suspense, international/political fans will enjoy its pull from various currently popular subjects, and action fans won't find a single disappointing page in the entire book. If you liked the Die Hard movies, you won't want to miss The Fallen." "The writing is crisp, the dialogue and narrative littered with the jargon of high-tech electronics and military ops which adds to the atmosphere. The book is packed with action and conflicts especially among the US political and military leaders attempting to sort out and resolve the situation. An undercover asset, the hero or protagonist of the novel is the most fully developed character and he satisfactorily fills his role. An enjoyable read well-centered in the modern political thriller genre." "Stillwater is an exciting character to follow, methodical and inventive, yet daring and courageous. The Fallen is a dramatic, well-structured thriller that will keep readers enthralled." "Author Mark Terry has done a fine job of making your hair stand on end with this book. The action is practically nonstop from first chapter to last."